The Reuters/Ipsos polling team announced Friday that they are dropping the “Neither” option from their presidential preference polls after their tracking polls showed a 17-point swing in favor of the Republican nominee Donald J. Trump, exposing the “Secret Trump Voters” Democrats fear. Breitbart News noted the 17-point swing for Trump, which seems to have set off alarm bells at Reuters. Mamman wrote that in the “Year of Neither,” the swing came from an underreporting of Trump support before the Republican National Convention held in Cleveland July 18 to July 21. Reuters has a reputation for accurate polling, so it is significant that Mamman made this decision as the presidential campaign enters its last 100 days with both conventions adjourned. 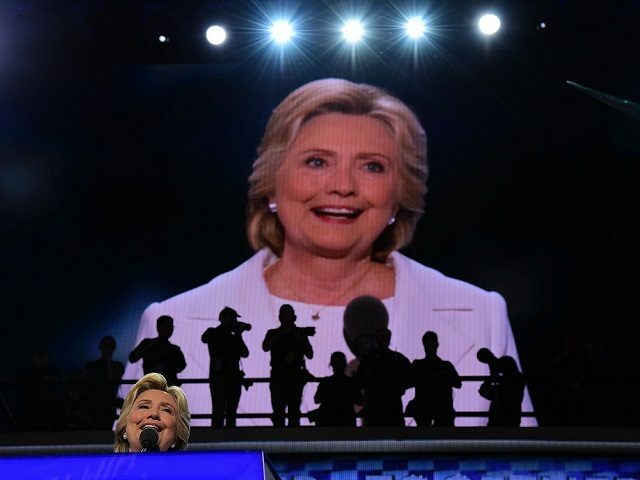 There is also evidence that the support for Hillary Clinton, the Democratic nominee for president, was underreported before the Democratic National Convention just completed Thursday in Philadelphia, he wrote. As the convention solidified support for wavering Democrats for Clinton, they too would move out of the Neither column into the column of their party’s nominee. Mammon quotes Cliff Young–pollster and president of Ipsos Public Affairs, which partners with Reuters on the poll–saying he estimated the Clinton shortfall at 2 to 4 percentage points. The real problem this year’s polling presents to Democrats is the reluctance, especially among more educated voters, to confess their support of Trump. Other pollsters have noted the divergence between polls conducted with live operators and robo-phone calls. Live operators have long been considered the preferred, most accurate method inside the polling community. However, live operator polls uniformly show lower support for Trump than online or automatic-dial phone polls. Much has been made of Trump’s lack of support among college-educated whites, a stronghold of Republican support, but it could very well be that these people, susceptible to social perceptions, have not abandoned the Republican nominee but are giving the socially acceptable answer–until they are alone in the voting booth. In the United Kingdom it is called the “Shy Tory Factor,” where polls consistently underestimate the strength of the Conservative Party going into elections. In 2015, polls showed the Labour Party leading or tied with the Tories, only to lose 26 seats and watch its leader Ed Milliband resign in disgrace. Similarly, going into the referendum on whether to leave the European Union, Brexit, polls leading up to the vote showed “Remain” consistently ahead. But, “Leave” won. We’ve all noticed the phenomenon this year – even if we haven’t given it a name. Polling is consistently underrating the strength of the Donald Trump vote – a strength that doesn’t show up until the election results come in. And Democrats are deeply concerned that this may result in an unseen tsunami conservative vote in November.